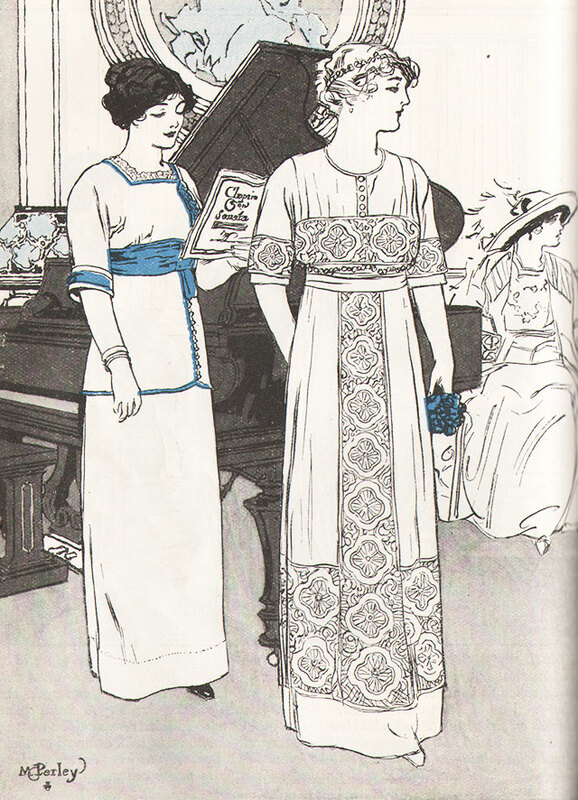 Chiffon or handkerchief linen gowns with satin buttons and lace from Good Housekeeping, 1912. The gowns shown at left are taken from Good Housekeeping magazine from 1912. The most prominent of the two was made from handkerchief linen or chiffon and trimmed with flat lace and satin buttons. February 25, 2014 in Fashion Plates.